Try these Sally Brown Angel Biscuits they are so light and melted in your mouth goodness.... I just had to share with you her recipe. Coat a baking sheet with nonstick cooking spray and set aside. Warm the water in a small saucepan. Stir in 1 teaspoon of sugar. Add the yeast and stir until dissolved. Allow the yeast to proof (bubble). Sift the flour, remaining 1/3 cup of sugar, baking powder, baking soda, and salt into a large bowl. Cut in the shortening with a pastry blender until the mixture looks like coarse crumbs. Add the buttermilk and the yeast mixture and stir until well mixed. Turn the dough out onto a lightly floured surface and knead 3 or 4 times. Roll the dough out until it is about ½ inch thick and cut into rounds with a 2-inch cookie cutter. Place on the cookie sheet, covered, and let rise until doubled in volume, about 45 minutes. Preheat the oven to 400 degrees while the biscuits are rising. 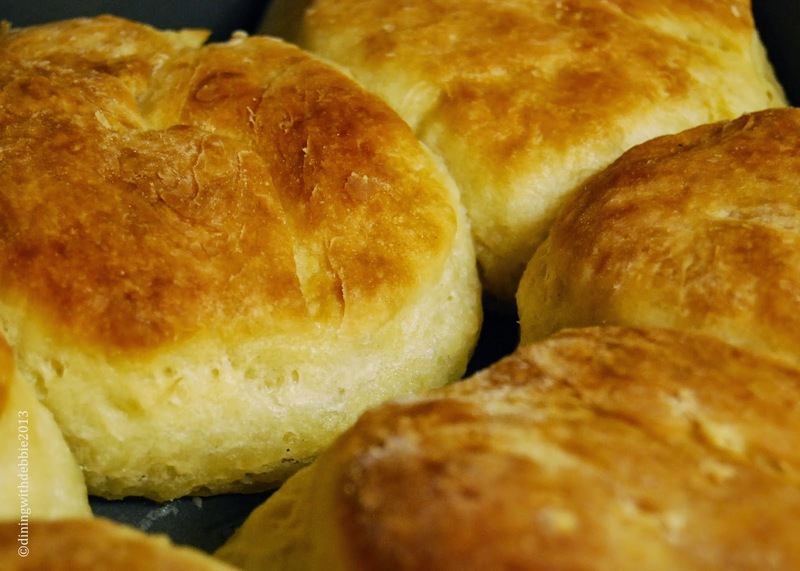 Bake the biscuits for 10-12 minutes, or until golden brown on top. Remove from oven and pour 1/2 cup butter that has been melted over the tops. Serve warm.